When Quiet Time isn’t in Season: Ideas and resources to help you stay in God’s Word. My quiet time isn’t super fancy. It isn’t Instagram picture perfect, despite my coffee cup pictures. It isn’t an hour long. But my quiet time is authentic, part of my daily routine, and fits my season of life. But I’ve seen friends hit a difficult season and the first thing that drops is time spent in the Word listening to God’s voice. A three years ago I wrote about my quiet time not being quiet. (Link to blog post) All of that still applies, and a bit more; I’ve got another kiddo so it’s even more joyful (aka louder) around my house. I have a beautiful friend and new mom who wrote about her adjustment to quite time after a baby. (Link to post) In her reflections, she found that God renews her strength even in her current sleep deprived season. I couldn’t agree with that more! This makes my heart hurt because I’ve been there. Maybe it’s also because my quiet time hasn’t always been consistent. I’ve had long periods of time where I wasn’t in the word every day, where I felt disconnected from a community of believers, and I made decisions based solely on my own judgment. Consequently, those periods are marked by moments of least joy, my least productivity, and feeling like like a ship without a sail. There shouldn’t be a season for listening to God’s voice. There are seasons to life. But listening to the voice of your God, your creator, isn’t for a specific season. It should be as important and as routine as being able to take a deep breath. So how do I stay consistent? 1. Put aside preconceived non biblical notions of a quiet time. I grew up with a Southern Baptist Church Camp idea of quiet time: set aside a hour, be alone, be outside. Well, Jesus did go off to be alone from time to time. However, he didn’t set a timer. Waking up early, setting aside an hour is awesome but if your current season all you can manage is 15 minutes locked in the bathroom or 20 minutes during your commute, don’t feel guilty. Maybe you can’t swing daily, but five days out of seven you set aside to study. Maybe you can’t be alone. Maybe you need to study at the kitchen table while your littles are eating breakfast. Give God the time you have. Guilt stops us in our tacks. When the season changes, adjust and give more. 2. Build a community. Some call it having mentors, accountability partners, or discipleship but I call it my village. You know, the first ones you call or text when you need prayers. My hardest times have been when I wasn’t a part of a local community of believers (aka a church). Maybe yours is a Bible study group, or you text your BFF from college, a coworker or a Facebook group. But we all need someone to breathe truth into our lives. 3. Use the resources available. I remember when my only resource for bible study was a teen study Bible with a concordance or a Beth Moore Study. (Both awesome by the way) We are blessed to be in a generation with access to more: online bibles, online studies, a plethora of female Christian authors and studies. I’ve listed my favorites at the end of this post below. 4. Set realistic goals and be okay when you struggle. So, I’ve tried to do those Bible in a year studies before. I typically fall flat on my face in March. Between reading Leviticus and Deuteronomy during what I would call the hardest month for teachers, I get so far behind, I just quit. I need to admit it’s too hard, and set reasonable and achievable goals. A more achievable goal is just being in the word every day. Start one study and finish. Then another. Even if I don’t finish on the exact time table laid out. I’m an English teacher, and I have a twenty book challenge for my students: read twenty books in the course of a school year. But even those who don’t reach twenty typically have read more than the year before. They improved. The same goes for Bible reading: read a little bit more than before, know a bit more, be a bit stronger. 5. Respond in a unique way. Annotate, journal, sing, write, use colored pens! Okay, the colored pens is optional but truthfully the brain processes information better when we respond: talk it out, write it down, make notes. My mother’s bible was filled with notes in the margins. 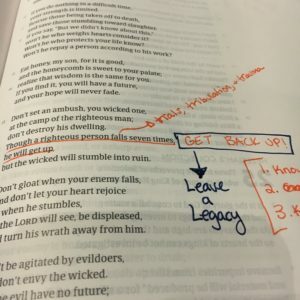 My digital bible has highlighted notes. 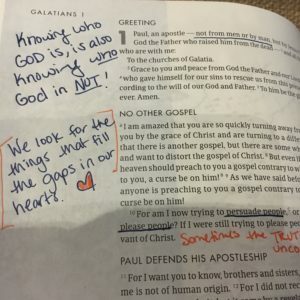 My good friend does creative bible journaling. (Link here) IF Equip Bible study also offers creative ways to respond to the question of the day. However you choose to respond, those responses serve as a sign post of your thinking. I’m encouraged to keep going when I see where I’ve been. You may have days when you get busy. Or a week of craziness where you forget. It happens. But hard moments are when you need truth the most. Make hearing from God part of your daily routine so when those hard moments come you aren’t scrounging around and grasping for nuggets of truth because they are already hidden in your heart. She Reads Truth Bible – I had a Teen study Bible in High school, An Oxford Annotated Bible in College. This is my season for a beautiful, easy to read Bible. This one is perfect. It has built in study plans and devotionals. IF Gathering/IF Equip – The app is super easy to use (and FREE) and you can respond through comments to a community of believers. The studies are engaging, current, and have deep, thought provoking questions. They also sell their studies on paper if you prefer. She Reads Truth – The app has several plans available for free, but I subscribe for a monthly cost less than a cup of coffee. Current plans are free online. I love the images they have and the lock screens you can add to your phone to help you memorize scripture. They also have BEAUTIFUL print studies. I typically only order those for Advent or Easter. YouVersion The Bible APP– An oldie but a goodie. Besides having the entire bible digitally and in multiple translations, they also have a plethora of plans of study you can try. Savor: Living Abundantly Where You Are, As You Are – This is the kind of Devotional I can go back to year after year. It’s year long but it’s short and perfect to pick up when you are in between studies. 100 Days to Brave – Annie Downs writes more towards a single woman’s life, however I love her heart. I bought this devo for my sister in law. 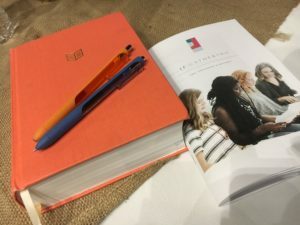 Unshakable: 365 Devotions for Finding Unwavering Strength in God’s Word – I haven’t done this one yet – but it’s on my wish list! Seamless:Understanding the Bible as One Complete Story I haven’t done this study but I have had friends who have – perfect if you want to gain an understanding of the Bible as a whole. Looking for Lovely – I read the book but they study just goes deeper and ask questions. Perfect for a group to do together. Inspiring Books, Audio Books & Podcasts: I use Audible for audiobooks from my favorite authors and listen to podcasts. 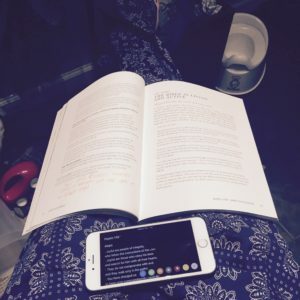 (Note: I’m not really a podcast person, but it fits my season with littles and driving in the car so I’m trying) I realize that an inspiring book or podcast might not fit into your idea of “quiet time” but I have found that ANYTHING that put my thinking on God can ignite my passion and love for him. Always balance the voices of others, even inspiring people, with scripture. 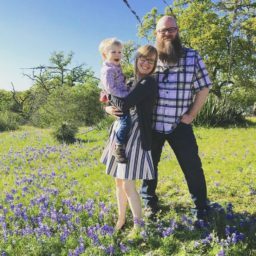 I would recommend Jen Hatmaker (she narrates her own books and is hysterical) – A little over a year and half ago my 13 month old daughter was hospitalized with RSV and pneumonia. We were in the hospital for a week. I wasn’t sleeping. I was non stop holding her and woke up by nurses. This wasn’t the best situation for a traditional Bible study, but I needed some positivity. I downloaded her new book on Audible: Mess and Moxie: Wrangling Delight Out of This Wild and Glorious Life . I laughed, I cried, I prayed, I stayed positive in a disheartening situation. Her podcast is pretty awesome too. It runs the gamut between serious theology questions (such as the episode with Bob Goff) or just for fun (clothes recommendations, book series and reading lists). And because it frequents notable guest speakers it’s always exciting. Angie Smith – Chasing God – I love Angie’s heart a raw vulnerability. Rachel Hollis – Girl, Wash Your Face: Stop Believing the Lies About Who You Are so You Can Become Who You Were Meant to Be – A little edgyer, but she kept it real, and very motivational. She has a new book out I want to read: Girl Stop Apologizing. Emily Ley – Grace, Not Perfection: Embracing Simplicity, Celebrating Joy – Her life seems picture perfect, at that’s hard for me to swallow considering I live in “hot mess” zone. But if she needed grace, I do too. I took away nuggets of truth from her, including starting a photo memory spot to reflect on my joy. Chip and Joanna Gains – The Magnolia Story -Their story is beautiful and inspiring. They speak openly about the moments the listened to God’s voice. Plus, the narrate the audio book so if you listen it feels like they are your friends and you are just hanging out. If you notice, I kinda have a theme going: simple living, celebrating joy and being who you are designed to be. But you really can and should curate your own list. What books, devotionals, or resources would you add to the list? Great words of encouragement! I still struggle with this all the time. I like how you encourage us to start where we are and just do a little.